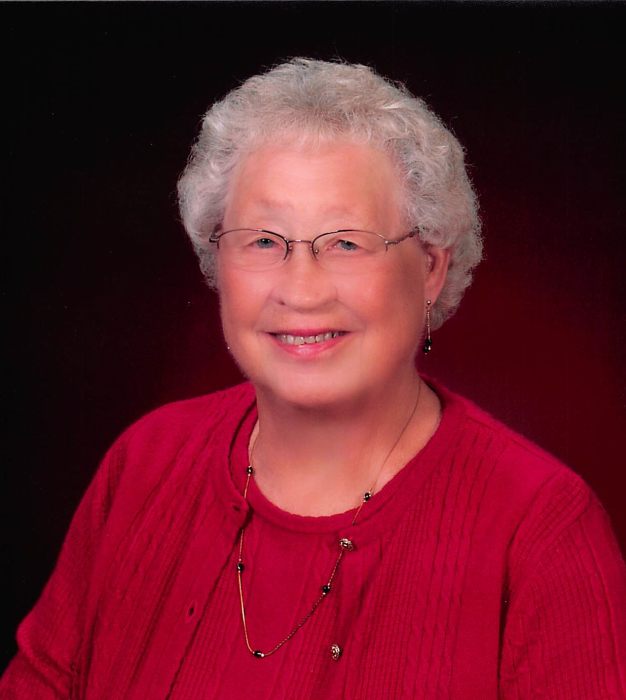 Shirley R. Olson, age 82, of Elbow Lake, died Monday, April 30, 2018 at Pioneer Cottages in Fergus Falls, MN. Shirley Rose Ulsby was born July 14, 1935 in Bertha, MN to Alfred J. and Ella (Elnes) Ulsby. She was raised in rural Parkers Prairie. She graduated from Parkers Prairie High School in 1955. Following graduation she worked as a nurse’s aide at the Bethany Nursing Home in Alexandria. She met Lester R. Olson at a dance in Glenwood. They were married October 27, 1957 at First Lutheran Church in Parkers Prairie and she moved to his family farm near Ashby. There she raised their children and was a typical farm wife. When her children were older she went to work as a nurse’s aide at the Pelican Lake Nursing Home in Ashby for about 10 years before retiring. Shirley enjoyed baking, gardening (both flower and vegetable), needlework and traveling. She was a member of Erdahl Lutheran Church from the time of her marriage until it closed in 2005. She was active in Ladies Aid and as a Sunday School teacher. She then joined United Lutheran Church where she was active in Dorcas as long as her health allowed. Shirley continued to reside on the family farm she loved following Lester’s death in 2009 until October 2017 when she became a resident of the Pioneer Cottages (Homestead) in Fergus Falls. Shirley was preceded in death by her parents, her husband Lester, an infant son Christopher Alfred, infant granddaughter Sarah Benson, infant great-grandson Connor Buehring, sister Nola Rustad, brother-in-law Russell Rustad and sister-in-law Debra Ulsby. She is survived by her children Orvin (Evie) Olson of Conroe, TX, Patty (Steve) Benson, Elbow Lake, John (Lori) Olson, Elbow Lake and Rosie (Richard) Cartwright, Springfield, MO. Grandchildren Amy Benson, Ashley (Blake) Buehring, Shane (Kristel) Olson, Sierra (Sean) Holloway, and Christopher (Jessica) Davis. Great-grandchildren Charlie and Colby Buehring, Hannah and Holly Olson and Theodore Davis. Also, several step grand- and great-grandchildren, and brothers Andrew (Jeanette) Ulsby and Joseph (Sue) Ulsby and several nieces and nephews. Funeral Service: 2:00 PM, Thursday, May 3, 2018 at United Lutheran Church, Elbow Lake, MN. Visitation: 5:00 – 7:00PM Wednesday at Erickson-Smith Funeral Home, Elbow Lake. Visitation will resume one hour prior to the service at the church. Erickson-Smith Funeral Home of Elbow Lake is assisting the family with arrangements.